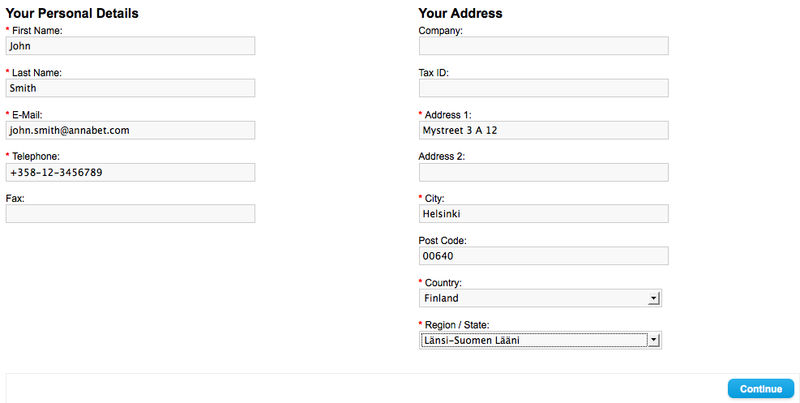 Please note that our Web Store uses separate account from the main site of AnnaBet.com! It is not required to register to the web store but you need to be registered to the main site first before able to order any service. We are now logged in as Dr. Punter username to the main site. 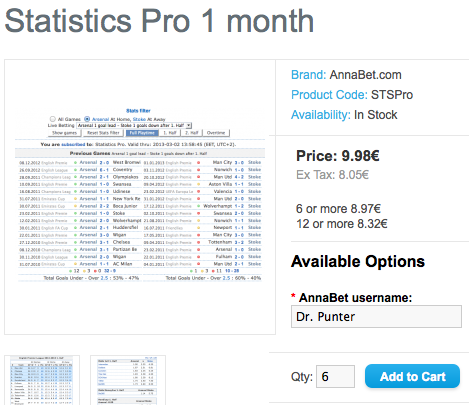 We write our main site username Dr. Punter to the *AnnaBet username -field, and then change the quantity (Qty) as 6 for 6 months subscription. We will get a discounted price for 6 or more and 12 or more months subscription. You can also leave it to 1 if you wish to have just 1 month subscription. If you don’t wish to order more products or service from our web store, just click this shopping cart link. 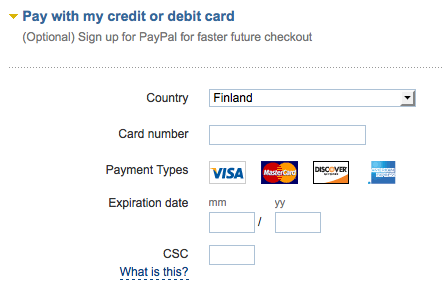 When the payment is processed (usually immediatedly), your subscription for the service(s) will begin automatically.